i am really hoping everyone saw the post on design*sponge yesterday about alyson fox's wedding. 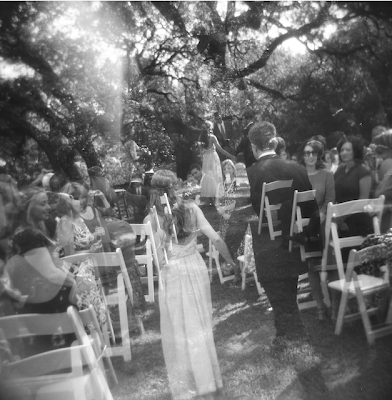 it was wonderful and fabulous and shot partly with a holga! SWOON. if you somehow missed the pictures or just to see more of this event, including the dress the bride designed and made for herself, go to the originally mentioned post here or here. I am loading my friends up with tons of medium format film before our wedding & putting them on holga/diana+ duty. So dreamy!